Making an appearance at the Granville Island Public Market this weekend (Sept 26 - 28/14) and beyond, four new fruity still life images of the humble pear. Photographed and treated to impart a vintage quality, but printed in colour to celebrate their wonderful tone and texture. 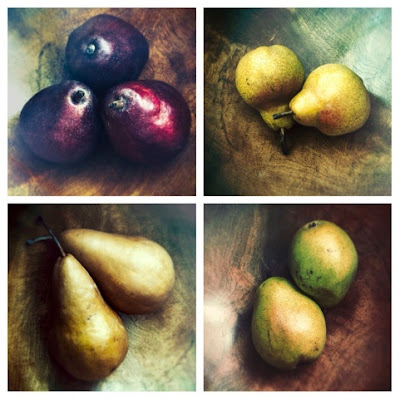 "Vintage Pear" series, from left to right, Red Anjou, Bartlett, Bosc, Green Anjou.